Shopping for a new MINI Cooper? The 2018 Mini Cooper is a two- or four-door hatchback that's all style first, substance comes later. Its relatively small shape and perky powertrains make it unexpectedly quick, but its hatchback practicality is what makes a lasting impression. Little on the Mini Cooper has changed from last year. This year the small car gets a standard rearview camera (ahead of a federal mandate for the safety equipment) and some package reshuffling. The fuel gauge will be slightly different and the turning indicator will stay in the same position—in other words, it’s kind of the same. The Mini Cooper is offered as a two- or four-door hatchback, a soft-top convertible, or as an awkwardly cool four-door wagon with swinging doors at its tail called the Clubman. Regardless of body style, any Mini is instantly recognizable on the road. Mini is far removed from its days as a diminutive British automaker, it’s owned by BMW and shares some of the Bavarian behemoth’s engines and architecture. The Cooper is powered by a chunky turbocharged 3-cylinder engine that makes just 124 horsepower. Those cars rely on eager steering and the Cooper’s relative light weight to supplement shortcomings of that engine. Cooper S cars are powered by a turbo-4 that makes 189 hp that outkicks its own coverage. It’s uproariously fun and nimble, but also overpowered—Coopers are fun in the corners, not necessarily straight-line speed. At the top of the heap is a John Cooper Works edition that’s available on two-door hardtop, convertible, and Clubman models. It uses an uprated turbo-4 to make 228 hp that’s delivered in a savage, hugely entertaining way. Those engines can be mated to a 6-speed automatic or 6-speed manual transmission, with standard front-wheel drive or all-wheel drive, which is optional on Clubman models. Beyond power, the Mini’s practicality comes into view. 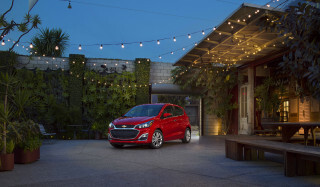 The two-door hardtop models do their best impression as versatile hatchbacks with a split-folding rear seat that transforms 8.7 cubic feet of cargo space into 37 cubes. Four-door versions are more capacious: 13.1 cubic feet with second row in place, or 40.7 with the seats folded. Clubman models do the best: 17.5 cubic feet and 47.9 cubic feet respectively. That’s usable space, but when considered against the Mini’s price, which starts at $22,450 and can into the high-$30,000s, practicality takes on a new meaning. The 2018 Mini Cooper looks the part, made better by an endless supply of customization options. Style is in the 2018 Mini Cooper’s wheelhouse. 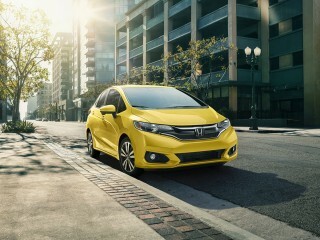 Just the name alone evokes images of the small hatchback—that’s recall that money just can’t buy. You’d be forgiven for mistaking this car from the same version released 15 years ago. Although its roots trace back to the retro-modern fad that’s now faded, the Mini Cooper manages to look fresh thanks to its high degree of customization. Owners can mix and match paint schemes and unique features to ensure that no two Minis leaving the factory will look alike. The Mini Cooper was most recently redesigned three years ago, with the most noticeable change being a longer nose. The taillights are a little more squared, but the traditional Mini cues are still in place: oval lights on the front fenders, upright windshield, and an oblong grille. 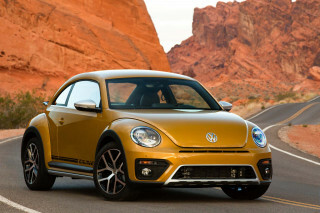 Convertible and Clubman models are nearly identical from the front fenders forward, but the two diverge in wheelbases, cargo space, and obviously their roofs. They converge in interior presentation, which is mostly universal across the Mini lineup. The Mini is less “alien techno” this time around, and focused more on comfort—with flourishes. Instruments are where you’d expect them, and for the most part, the switches are easy to understand. (The optional head-up display switch has been mercifully moved to the other side of the steering wheel, out of the center stack.) Round, eyeball vents build toward a large round center display that houses the infotainment screen and kitschy “mood ring” that changes color depending on drive mode—or something. It’s a lot to take in initially, but deeper analysis reveals that all of those shiny buttons and switches help distract from a lot of black trim and upholstery pieces. For the most part, it’s a welcome distraction. Straight-line speed isn’t the 2018 Mini Cooper’s best attribute. Find a corner and you’ll see what we mean. The 2018 Mini Cooper hasn’t changed from last year—that’s a good thing. 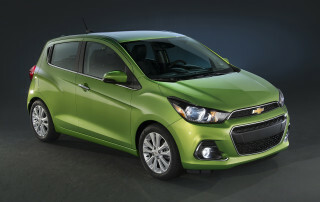 The base engine is a 1.5-liter turbocharged 3-cylinder that makes 124 horsepower and 162 pound-feet of torque. It’s responsible for coaxing the Cooper up to 60 mph in 7.4 seconds, but in reality it feels faster thanks to its cornering speed and tossability. 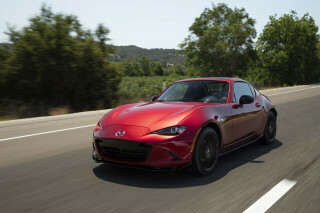 That turbo-4 shaves a second off the base engine’s 0-60 mph time thanks to 189 hp and 206 lb-ft. It’s the only engine we’d recommend if you’re planning on an automatic transmission, and it’s redeemed further by available paddle-shifters. For the unconvinced, a John Cooper Works edition is available in all but the four-door hardtop, and boasts an uprated turbo-4 that makes 228 hp and 236 lb-ft. Its power surges in unpredictable ways that are always fun—are you ready to scare yourself? Mini uses customizable drive modes to control throttle and transmission behavior (and damper settings if equipped) accessed via a toggle at the base of the shift knob. Sport modes predictably firm things up, Green slows everything down. Regardless of setting, the Mini rides firmly, but it doesn’t crash over bumps. Several wheel choices are available up to 18 inches, but we recommend 17s with their forgivable sidewalls and good looks. The Mini’s charms are in how it tackles curvy stuff. Most Mini Cooper models will have a relatively quick 14.2:1 steering ratio (the convertible’s is slightly slower at 14.0:1) that means tracking down a pencil-straight interstate isn’t really maximizing your opportunities. The 6-speed manual is a willing accomplice, but we’ve noticed that its linkage didn’t feel all that confident. Good news: The clutch takeup is relatively light and its rev-matching downshifting feature can make even mundane drives fun. The manual is mandatory on base models, but we wouldn’t begrudge many for opting for the 8-speed. It’s good on Cooper S and higher trims. Clubman models feel just as bright as Cooper models, despite having a longer wheelbase by 7 inches. All Minis use a single-joint spring strut front axle that can trace its roots back to the original 3-Series from BMW. The design makes for a lighter-weight front axle that’s more compact and direct, but ultimately limits the size of the brake rotors—not a huge concern in a lightweight Mini. The rear setup is a multilink rear axle that prioritizes stiffness with a cocked leg around corners. The net: All Mini Coopers handle tighter than a drum. And it’s standard on every car. The 2018 Mini Cooper is offered in three different sizes, but the longest will be the only practical family version for most people. The front seats are where we’d spend most of our time. Despite the car’s relatively short stature, our 6-foot-3 editor had plenty of leg room and head room behind the wheel, even without hitting the posts. The back seats are relative to the model you’ve picked. The Clubman is sized similarly to a Volkswagen Golf, which can seat four adults—or five in a pinch. The four-door Mini Cooper is fine for four adults or children during short trips, but the two-door hardtop will require some horsetrading with front passengers. We consider the convertible to be a two-seater, and we hope you do too. All Mini Coopers have a firm ride, but road noise is kept at a minimum. Turbo-4 models pipe in some of their engine noises, but the turbo-3 was strangely endearing to us with it’s chunky note. 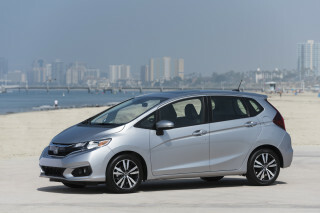 Base two-door hardtop models boast 8.7 cubic feet of space with the seats up, which isn’t much. That improves to 37 cubic feet with the seats folded, but gets much better with longer models. The Clubman will be the choice for cargo-carrying capacity; it boasts 17.5 cubic feet of cargo space and 47.9 cubes with the seats down. On paper, that rivals much bigger sedans, but some of that is vertical space, which isn’t used as often. Convertible models have a flip-down tailgate that opens for 5.7 cubic feet of cargo room in the trunk. Perhaps 90,000 feet of sky can be considered “usable space” too? Federal and independent tester don’t agree on the Mini Cooper’s crashworthiness, and we’re not jazzed about the outward vision either. The Mini Cooper’s safety story is mixed at best. 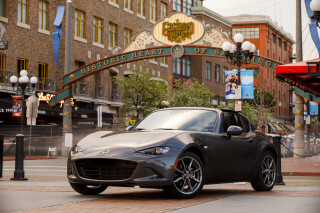 Federal testers gave the Cooper a rare four-star overall rating. 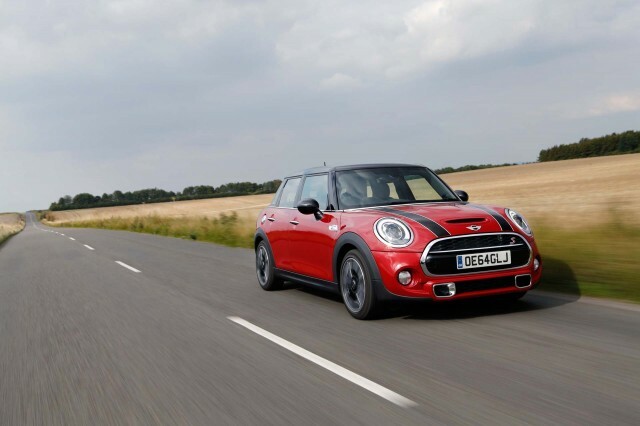 The independent IIHS gave the Mini top “Good” scores on all its tests. All Mini Coopers are fitted with eight standard airbags that include front, side, and side-curtain airbags that cover the windows. Knee airbags are included for front passengers. Outward vision isn’t the Mini’s best feature, despite its small shadow. The roof supports are thicker than they appear, and because the proportions are so compact, tall drivers may need to crane their necks to see stoplights. Rear visibility on convertible models is nearly non-existent with the roof folded. At least a rearview camera is standard. Getting automatic emergency braking requires opting for the pricey “Fully Loaded” package and adding the “Active Driving Assistant” package that adds more than $5,000 to the Mini’s price. Mini’s price can max out much higher than you’re expecting. Personality comes at a price, we suppose. The 2018 Mini Cooper can be as unique as a fingerprint, but much easier to see. The automaker offers countless ways to customize the interior and exterior, but none of them are cheap. Base Cooper models start at $22,450, but the costs can add up quickly. 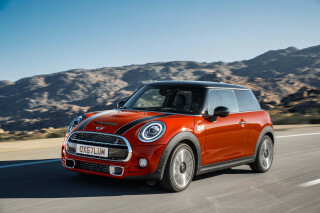 That’s OK, the Mini’s best features are baked in: recognizable shape and a willing attitude. Every Cooper, Cooper S, and Clubman model comes standard with LED headlights, white-trimmed interior, synthetic leather upholstery, 15-inch wheels (or bigger on Cooper S models), and a 6.5-inch infotainment screen with Bluetooth connectivity. Stepping up from base Cooper to Cooper S adds about $3,500, and opting for a 6-speed automatic adds $1,250. All-wheel drive is available for $1,800 on Clubman models, and removing the roof adds about $5,00 to the bottom line. 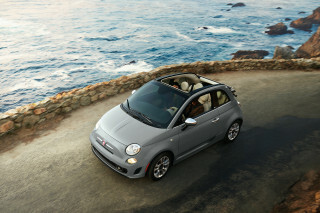 -For luxury-minded shoppers, an $1,800 premium package includes a Harman Kardon sound system and a dual-panel sunroof. -A $2,000 sport package adds adaptive dampers, sport seats, and bigger wheels to Mini models, which we recommend for overall drivability. -A $5,000 “Fully Loaded” package adds a not-so-useful head-up display and parking assistance, and is frustratingly required for automatic emergency braking. -A $1,750 technology package upgrades the infotainment to an 8.8-inch display that includes navigation. From there, the Mini can be configured in countless ways with dozens of exterior color combinations, mirror caps, accents, interior colors...you get the idea. It’s not hard to run a Mini up to the high-$30,000s, but a measure of restraint will keep a base Cooper around $27,000 with everything we’d ask out of the car. If the Mini Cooper looks like a hatchback to you, it’s not as fuel-efficient as some. If the Cooper looks like an accessory to you, then what does it matter? The 2018 Mini Cooper can somewhat fuel-efficient, but perhaps not as frugal as you might be expecting for a small car. From there, mileage dips slightly. Cooper S models with a manual transmission manage 23/32/26 mpg, according to the EPA. 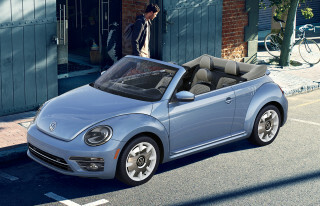 Convertible Cooper S models with an automatic earn a 25/34/29 mpg rating. Our own calculators managed a 25-mpg rating in Cooper and Cooper S models. With a light foot on long highway slogs, the Cooper can be relatively efficient. We’ve seen ratings over 40 mpg on the highway with judicious use of the throttle. Mini’s stop/start system is fitted to all cars and restarts the small car without much jostling.